In this tutorial, we are going to learn two new features of Angular 7( angular latest version ). The one is Virtual Scrolling and the second one is Drag and Drop. These are two main features of Angular CDK and now available for Angular 7. 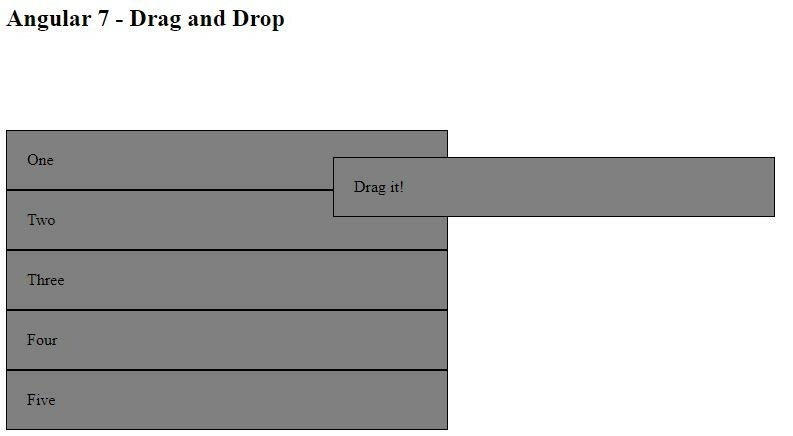 So, first-of-all, we will discuss Virtual Scrolling with simple example and then we will discuss about Drag and Drop feature with simple example. Virtual Scrolling: In Angular 7, virtual scrolling loads and unloads element from DOM on the visibility of the data such as images or large lists. DragDropModule: Angular 7 supports Drag and Drop feature. Now, user can drag and drop items to reorder or transfer items between lists. 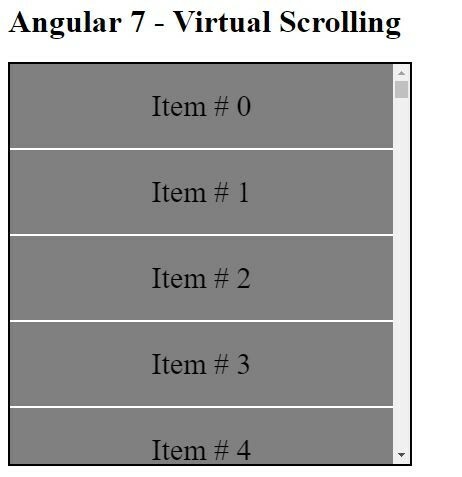 Let’s understand angular 7 (angular latest version) virtual scrolling and DragDropModule in step by step. Imp: – Before going to start Angular 7 project, we need to update latest version of Angular CLI. To do this, just open command terminal and then run this below command. 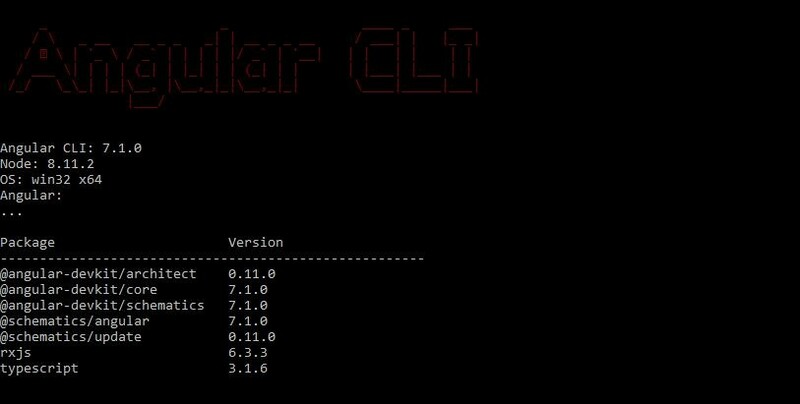 After running this command, you will see the Angular CLI version will be updated to greater than 7 as you see in the below screenshot. So, let’s start to create a new project using angular latest version (Angular 7). Now, in this step, we will create a new Angular 7 (angular latest version) project using visual studio code.So, open visual studio => then go to specific directory where you want to create new project => then run this below command to create a new project. 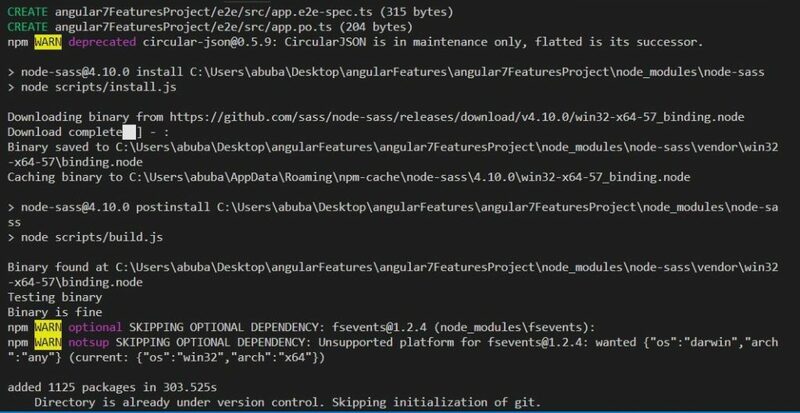 Then after sometime, you will see your angular 7 app will be ready to build and run as you see in the below. So, now run this below command and see angular 7 app is working. So, first we start with virtual scrolling. In angular 7, virtual scrolling loads and unloads element from DOM on the visibility of the data such as images or large lists. It will help to build very fast experiences for the user in a very large scrollable data list. Let’s see with example. First-of-all, we need to install angular CDK package. So, run this below command. Now, add some html code. So, open app.component.html and then write the code as you see in the below code file. Now, add some code for typescript. So, open app.component.ts file and then write the code as you see in the below file. Now, add some code for styles. So, open app.component.css file and then write the code as you see in the below file. Then after running the project you will see the out as you see in the below screenshot. Angular 7 Drag and Drop. Angular 7 supports Drag and Drop feature. Now, user can drag and drop items to reorder or transfer items between lists. Let’s see with simple example. Now, open app.module.ts file and then import the module as you see in the below file line # 6 and line # 16. Now, open app.component.html and then write the code as you see in the below file code. Line # 2: cdkDrag is used to create draggable component. Line # 4: we can add cdkDropList element to constrain where elements may be dropped. =>adding cdkDropList around a set of cdkDrag elements groups the draggable into a reorderable collection. Items will automatically rearrange as an element moves. This will not update the data modal. Now, add some style sheet code. So, open app.component.css file and then write the code as you see in the below file. Now, add some code for app.component.ts file. So write the code as you see in the below file code. Now, run your application and then you will see the output as you see in the below screenshot. Thank you for reading. Keep visiting and sharing!